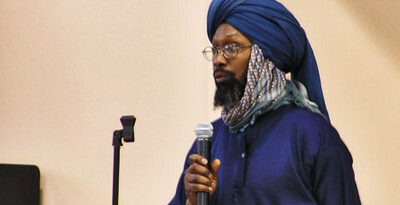 A Detroit imam was killed in a shootout with FBI agents Wednesday afternoon as the agents sought to arrest him and 10 other men on conspiracy and weapons charges. Luqman Ameen Abdullah, formerly Christopher Thomas, is accused of being the ringleader of a radical Muslim separatist movement that wanted a state in America governed by Shariah law. According to an affidavit in the criminal complaint, Abdullah, 53, and many of his followers were converts to Islam. Abdullah was convicted of assault and carrying a concealed weapon in 1981. Like other cases broken up this year, Abdullah converted to Islam after serving time in prison. In the affidavit, FBI Special Agent Gary Leone described the defendants, saying: "Their primary mission is to establish a separate, sovereign Islamic state ("The Ummah") within the borders of the United States, governed by Shariah law. The Ummah is to be ruled over by Jamil Abdullah Al-Amin, formerly known as H. Rapp Brown." Al-Amin is serving a life sentence after being convicted in 2002 of killing a Georgia police officer. According to an FBI news release, the suspects were considered armed and dangerous and law enforcement used "special safeguards" to try to make the arrests peacefully. "Luqman Ameen Abdullah did not surrender and fired his weapon," the release said. "An exchange of gun fire followed and Abdullah was killed." According to the complaint, a former member of Abdullah's group cooperated in the investigation. The informant reported that Abdullah advocated "the spread of Islam through violent jihad." The affidavit makes it clear that when agents moved in, Abdullah practiced what he preached. "He regularly preaches anti-government and anti-law enforcement rhetoric," Leone wrote, and "preaches that every Muslim should have a weapon, and should not be scared to use their weapon when needed. Members and former members of the Masjid Al-Haqq have stated they are willing to do anything Abdullah instructs and/or preaches, even including criminal conduct and acts of violence." Abdullah saw himself and his followers "as soldiers at war against the United States government and against non-Muslims. A second informant recorded Abdullah asking for $5,000 to "do something" during the 2006 Super Bowl in Detroit. If innocents were to be hurt, "it's going to be legitimate," Abdullah said. He complained that "Kafir" or non-believers, were watching him "ridiculously closely." Still, he said he carried "some violence [in me] because of what they did to Imam Jamil [Al-Amin]. The Investigative Project on Terrorism will have more on this story Thursday. Read the full complaint here. 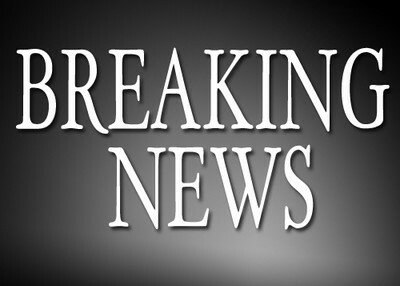 See coverage in the Detroit Free Press here and the Detroit News here.